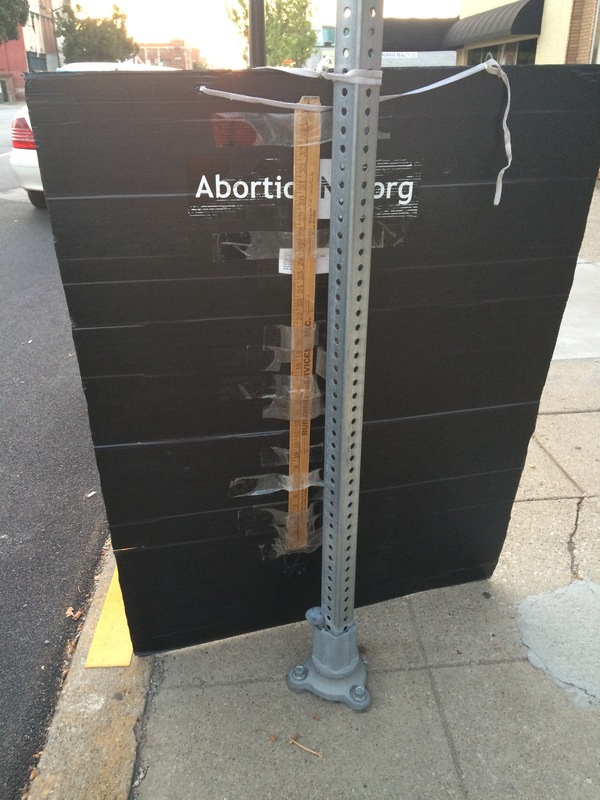 This entry was posted in abortion, video with protesters and tagged EMW, Escorting, Louisville KY, protestors, stigma by Fausta. Bookmark the permalink. Re the signs: We see billboards up here (WI) with really similar messaging, particularly as one passes out of Madison and up around central WI, especially the Wausau/Steven’s Point and Appleton/Oshkosh areas. 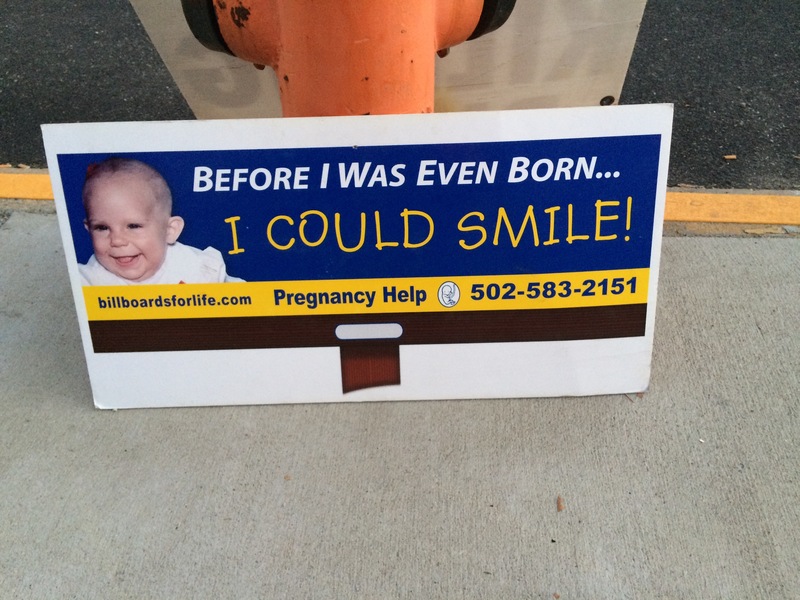 But it’s all variations on “I could _________ before I was born!”, etc. Can’t remember the color scheme, but the pictures are always of 6mo-1yr old kids. My habit is to yell WRONG! as we pass them. They usually have urls on them. I’ll have to look at them more closely next time. But goodness knows we have enough churches like that here.